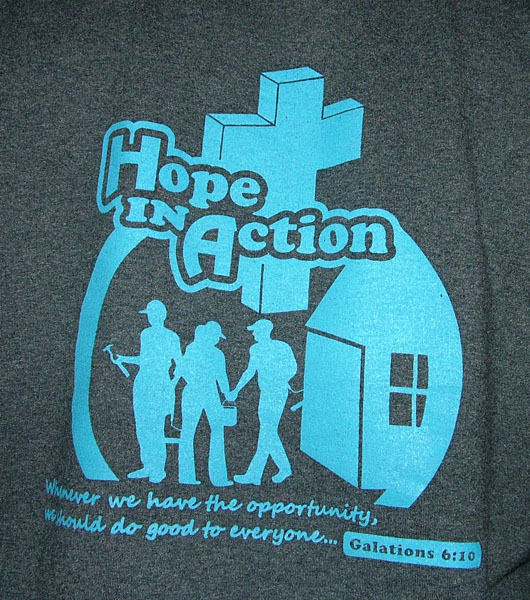 I helped out a ministry with T-shirt art for one of their larger endeavors. 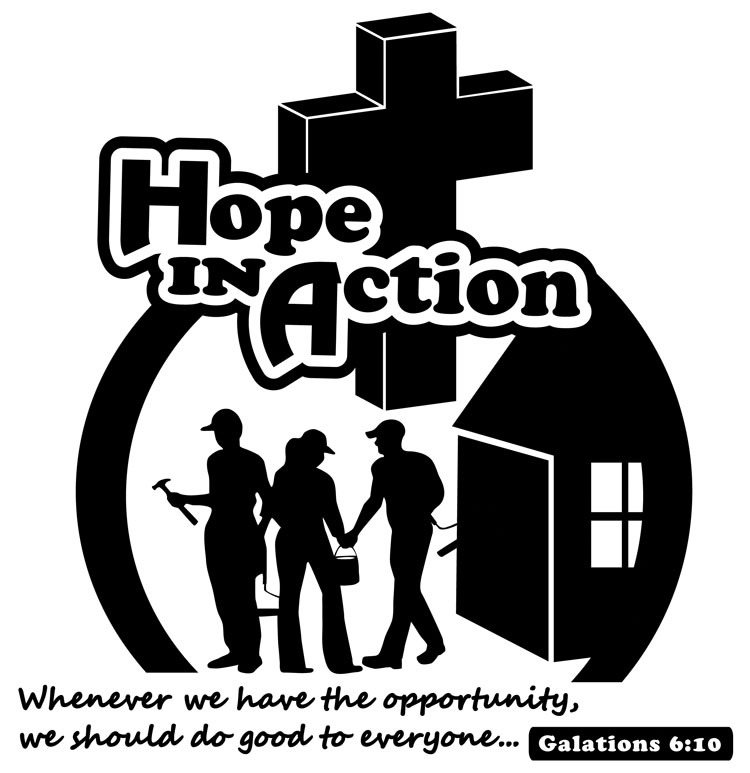 The ministry works to improve houses for those in need and are unable to do the work themselves. All of the work is completed by volunteers (NO they are not paid, but paid through doing a good deed for someone). It was important to show the house and the workers as well as the group’s intended message.